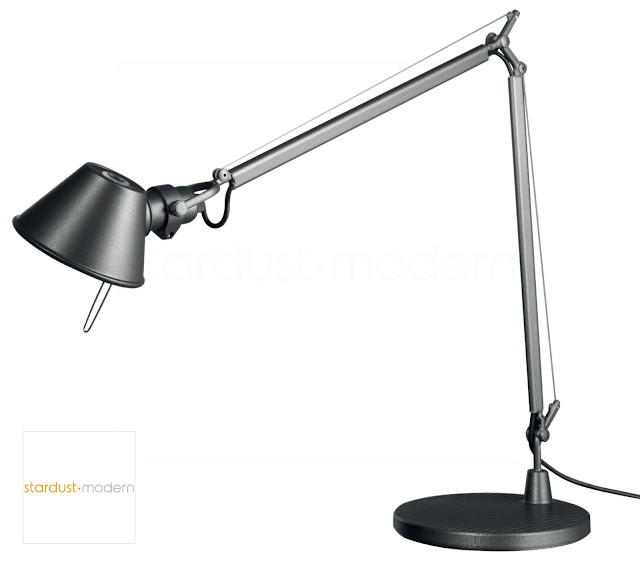 Left is the Anthracite Finish. 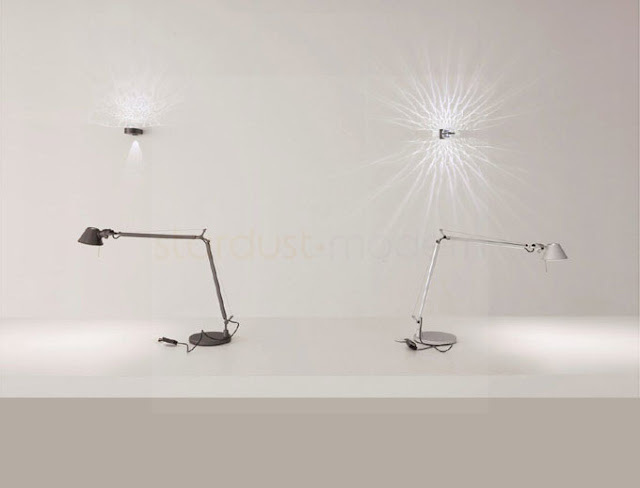 Right is the Aluminum Finish. 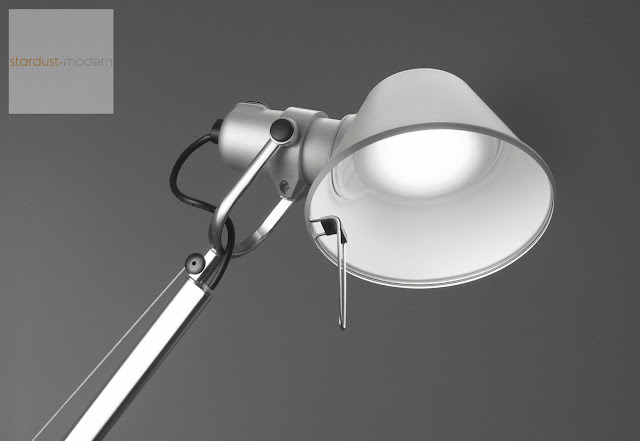 The new Artemide Tolomeo Midi LED is the long anticipated answer to numerous requests from customers who wanted a medium-sized Tolomeo Table Lamp; sized in between the Tolomeo Classic and the Tolomeo Micro. 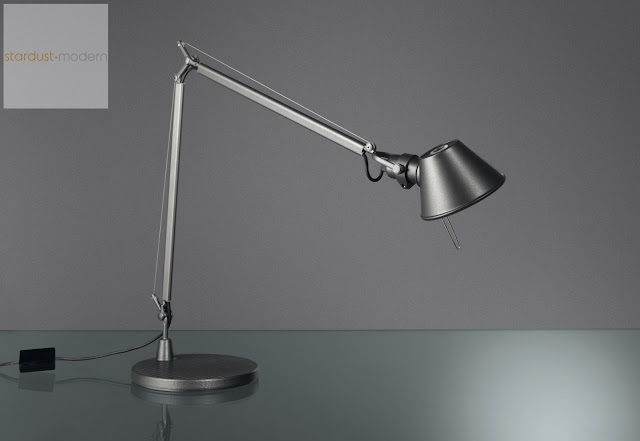 This perfectly-sized Tolomeo Midi LED lamp fits perfect on most office desks and looks equally attractive when used as a bedside table lamp for reading purposes. 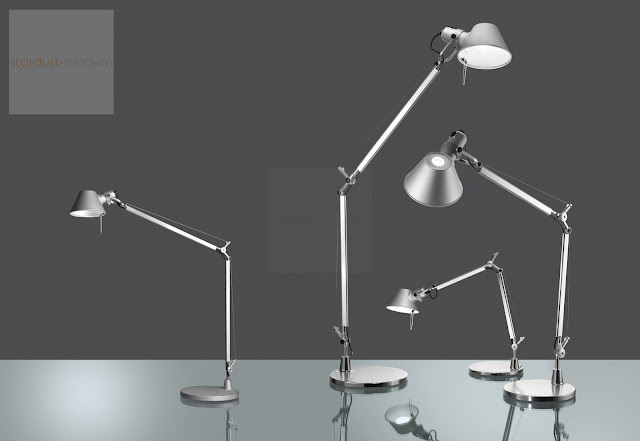 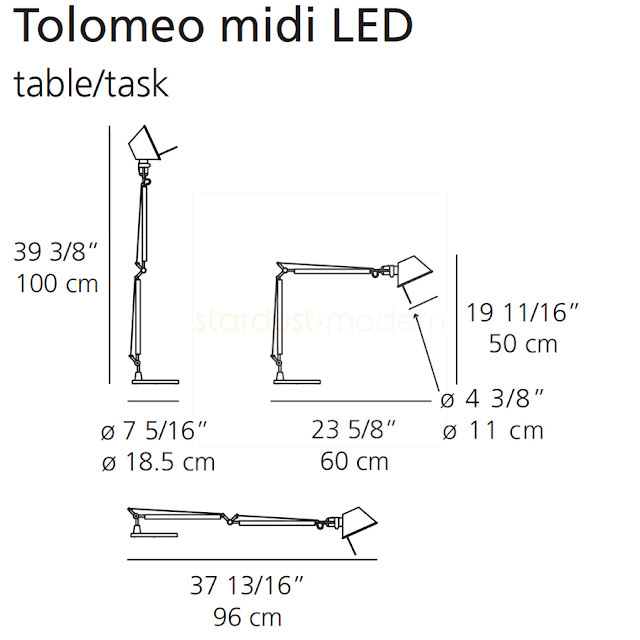 Stardust offers the Artemide Tolomeo Midi LED with either table base (most common), table in-set pivot, table clamp or twin accessory (allowing two independent lamp units to be fitted into one base). Finishes include either classic aluminum or the new anthracite finish.